Dr. Smith’s main scientific interest is the application of magnetic resonance imaging and spectroscopy to non-invasive medical diagnoses. Ian Smith received his B.Sc. Hons in chemistry and M.Sc. in physical chemistry from the University of Manitoba in 1961 and1962, and his Ph.D. in theoretical chemistry from the University of Cambridge, U.K. in 1965. From1965 to1966 he was a postdoc in the Department of Chemistry at Stanford University with Professor. Harden McConnell. He joined the Bell Telephone Labs from 1966 to 1967 as Research Scientist, and was then appointed Group Leader in Molecular Biophysics at the National Research Council (NRC) in Ottawa in1968. 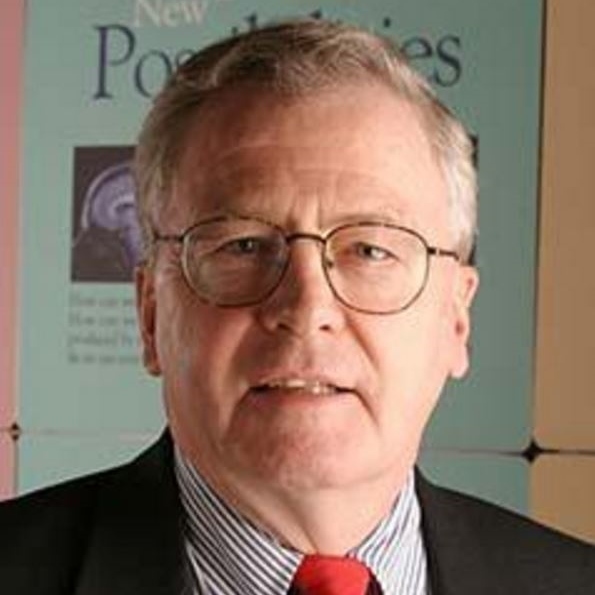 In 1987, he was appointed Director General of the NRC Institute for Biological Sciences, until 1992, when he became founder and Director General of the NRC Institute for Biodiagnostics in Winnipeg. He was an adjunct Professor of Chemistry and Biochemistry at the University of Ottawa from 1970 until 1992, and is currently an adjunct professor of Physics, Radiology, and Anatomy at the Universities of Winnipeg and Manitoba. He is also President of Innovative Biodiagnostics Inc. a company which he founded, and Chairman of the Board of Directors of CIMTEC, Centre for Imaging Technology Commercialization, based in London and Toronto, Ontario. “Deuterium Magnetic-Resonance, Applications in Chemistry, Physics and Biology” H.H. Mantsch, H. Saito & I.C.P. Smith Progress in Nuclear Magnetic Resonance Spectroscopy (1977) 11, 211-271. “Composition Sequence and Conformation of Polymers and Oligomers of Glucose as Revealed by Carbon-13 NMR” P. Colson, H.J. Jennings & I.C.P. Smith Journal of the American Chemical Society (1974) 96, 8081-8087. “Structural Determination of the Sialic-Acid Poly Saccharide Antigens of Neisseria-Meningitidis” Serogroup B and Serogroup C with Carbon-13 NMR A.K. Bhattacharjee, H.J. Jennings, C.P, Kenny, et al. Journal of Biological Chemistry (1975) 250, 1926-1932. “Molecular-Motion and Order in Single-Bilayer Vesicles and Multilamellar Dispersions of Egg Lecithin and Lecithin-Cholesterol Mixtures - Deuterium Nuclear Magnetic-Resonance Study of Specifically Labeled Lipids” G.W. Stockton, C.F. Polnaszek, A.P. Tulloch, et al. Biochemistry (1976) 15, 954-966. “Spin Labels in Membranes: Problems in Practice” S. Schreier, C.F. Polnaszek & I.C.P. Smith Biochimica et Biophysica Acta (1978) 515, 375-436. “Deuterium Nuclear Magnetic-Resonance Study of Condensing Effect of Cholesterol on Egg Phosphatidylcholine Bilayer Membranes .1. Perdeuterated Fatty-Acid Probes” G.W. Stockton & I.C.P. Smith Chemistry and Physics of Lipids (1976) 17, 251-263. “H-1 MRS of High-Grade Astrocytomas - Mobile Lipid-Accumulation in Necrotic Tissue A.C. Kuesel, G.R. Sutherland, W. Halliday, et al. NMR In Biomedicine (1994) 7, 149-155.